Sight Word Reader, Sight Word Games, and Puzzles! This is a complete sight word pack for 20 common primary sight words.I have used it with students ranging in age from K-2nd grade. 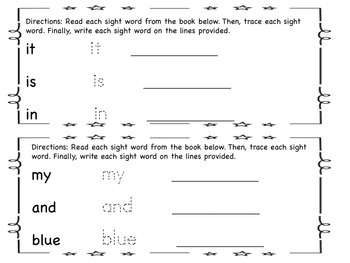 The pack includes: a sight word reader, sight word puzzles, and 2 sight word games! 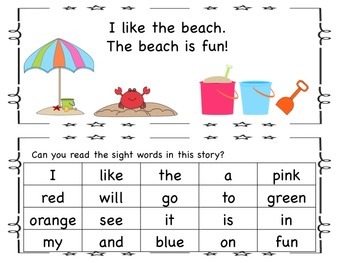 Sight Word Review Puzzles: print each puzzle and corresponding picture on card stock back to back. That way the word is on one side of the puzzle and a picture is on the other side. 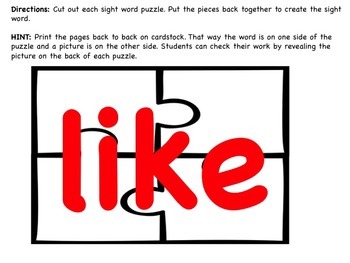 Students can check their work by revealing the picture on the back of each puzzle. 2 Sight Word Games: Printable Board Game; Go Fish!